After nearly 900 games played between more than 200 nations over almost 1,000 days, the 2018 World Cup qualification process is finally over, and FOX Sports is less than 200 days away from its first World Cup presentation. The 32 countries that will play in the big tournament hosted in Russia have finished a long journey and will soon embark on another one. 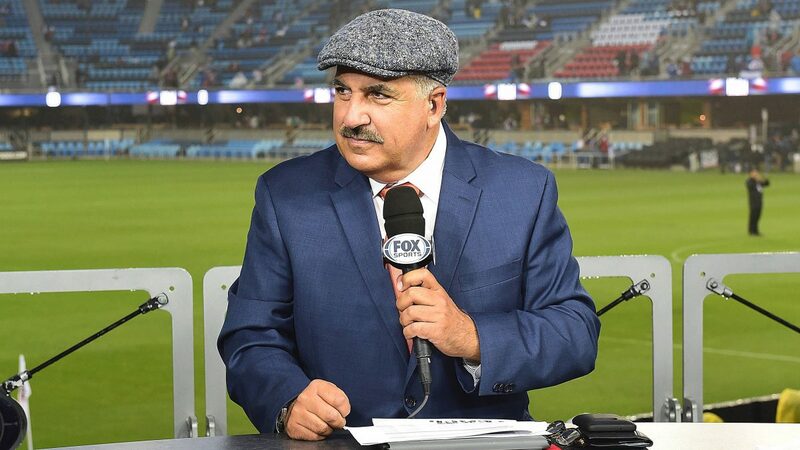 The same can be said for Emmy Award-winning FOX Sports host Fernando Fiore, who will broadcast his eighth World Cup in 2018. However, next year’s World Cup will mark a significant first for Fernando. I asked Fernando about his reaction to the U.S. Men’s National Team’s performance in the qualifiers, how he prepares for World Cup broadcasts, the similarities between Spanish-speaking and English-speaking audiences, and more. Were you surprised that the U.S. Men’s National Team failed to qualify for the big tournament? I don’t know if “surprised” is the right word. Disappointed? Yes. When we started the qualifiers with the top six teams from CONCACAF, the U.S. started with a loss in Columbus, Ohio, against Mexico; then we went to Costa Rica and lost again. So we finished 2016, the beginning of “The Hex,” losing against our first two rivals, followed by a coaching change. Things didn’t go right from the beginning, and when you have to change the coach that late, it’s difficult to turn things around. How has the preparation process been for this World Cup? And how does it compare with your previous experiences preparing for the World Cup? In the six months leading up to the World Cup, you start to look at every single detail, statistics and players. You can prepare and prepare during those six months, but you also have to be ready for a lot of changes that happen last minute, like injuries. I’ve traveled all over the world covering the last seven World Cups, but for the last four tournaments, I traveled to every single host city to make sure I’m knowledgeable about the city first hand. What do you do when you visit each city? I share my passion for the beautiful game with the people. I spend time talking with taxi drivers, people in the streets, at the hotels about their expectations and excitement for the games. For me, it’s great preparation because you really get a feel for the country’s expectation for this big event. I’m doing the same thing now in Russia. I hope that I can visit the 11 host cities before the World Cup. I already went to four; when I go to the draw on Dec. 1, I’m hoping to visit two or three more. That’s the best kind of preparation for me: going there, trying to get a feel for the people and country. The broadcast team you work with seems to have great on-air chemistry. What does it take behind the scenes to make that happen? The best way to explain why we have such great chemistry is that we are all completely different. I never played professionally, so I always try to be the link between the broadcast and analysis, and represent the fan. I won’t have the same opinion as an ex-player who played in a World Cup like Alexi Lalas. We have completely different opinions, and that’s why I think we’re interesting. You’re popular among Spanish-speaking and English-speaking soccer fans alike. What differences and similarities do you see in the two audiences? You’ll find two sets of fan bases in both Spanish and English-speaking audiences. You have the diehard soccer fan, the one that eats and breathes soccer every single day; and then you have the casual viewer. The difficult part is to deliver content and information to both groups in a way that doesn’t alienate the other. What does each group want to see in a broadcast? The diehard soccer fans want the broadcast to talk about the X’s and O’s, and dissect the game because they know so much about soccer. The casual viewer only watches the World Cup every four years, so you can’t talk too deep about soccer because you lose them. I try to balance my opinions to help serve both avid and casual fans. I saw that you recently joined the U.S. Soccer Foundation as an ambassador, so you’re clearly invested in the growth of the sport in this country, particularly in underserved communities. Can you talk about your role? To tell you the truth, this is one of the best things that has happened to me this year. They have a project called Soccer for Success, which I love. We need to get more kids involved in sports, and particularly soccer because it’s fun and healthy for them. We need to provide more after-school programs, guidance, coaches and places to play, especially in underprivileged areas that don’t have the luxury of a nice soccer field or mentors who can teach you the game. The goal for 2026 is to get 1 million kids playing soccer in more than 1,000 playing spaces. It might seem like a huge number that’s difficult to reach, but we have great sponsors that really believe in this project. The kids will go for the fun, to help keep out of trouble and be healthy, and from that pool you can develop the players of the future. Go to FOX Sports’ comprehensive fan guide to the 2018 FIFA World Cup in Russia for a helpful overview of the tournament. The 2018 FIFA World Cup begins June 14, 2018, and ends with the final in Moscow on July 15, 2018. All games will be live on FOX Sports and FOX Sports GO. LOS ANGELES, CA – UFC TONIGHT was hosted by Kenny Florian and Daniel Cormier, with Karyn Bryant adding reports. The crew previewed this weekend’s UFC 218 and THE UTLIMATE FIGHTER FINALE and interviewed featherweight champion Max Holloway, plus lightweight contenders Justin Gaethje and Khabib Nurmagomedov. 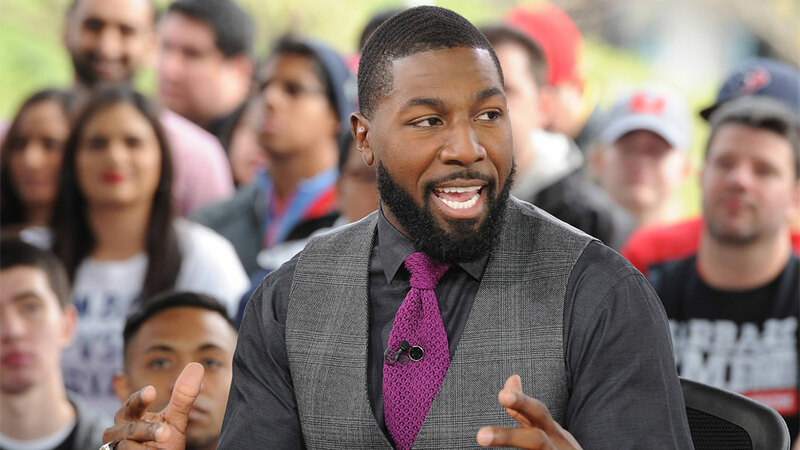 NEW YORK, NY – On Sunday, Nov. 3, Super Bowl Champion Greg Jennings returns to Lambeau Field where he will make his broadcasting debut as an NFL game analyst on FOX. The announcement was made today by John Entz, FOX Sports President of Production & Executive Producer. Jennings joins seasoned play-by-play announcer Tim Brando and sideline reporter Jennifer Hale, as the Tampa Bay Buccaneers visit Jennings’ former team, the Green Bay Packers, at Lambeau Field. Jennings shares his unique insights from FOX’s broadcast booth this Sunday only. Jennings joined FOX Sports earlier this year as an NFL studio analyst contributing to a number of FS1 and FOX Sports studio shows, most notably as a regular guest on FS1’s FIRST THINGS FIRST, UNDISPUTED, THE HERD WITH COLIN COWHERD and SPEAK FOR YOURSELF. Jennings has also appeared several times this season on FOX Sports’ FOX NFL KICKOFF pregame show. A native of Kalamazoo, Mich., Jennings attended Western Michigan University where he was a breakout star, becoming just the 11th player in NCAA Division I history to record three career 1,000-yard receiving seasons. The Green Bay Packers selected Jennings in the 2006 NFL Draft as the 52nd overall pick. In his seven seasons with the Packers he went on to help the team win Super Bowl XLV, where he caught two touchdowns in a thrilling 31-25 victory over the Pittsburgh Steelers. Jennings made two consecutive Pro Bowl appearances (2010 & 2011) as a member of the Packers. In 2013, he signed with the Minnesota Vikings, where he played for two years before signing with the Miami Dolphins. Jennings retired a season later at the age of 32. Jennings is deeply committed to the Greg Jennings Foundation, a private family foundation that partners with Michigan and Wisconsin organizations in educating youth by providing the necessary resources in order to help them reach their academic potential. 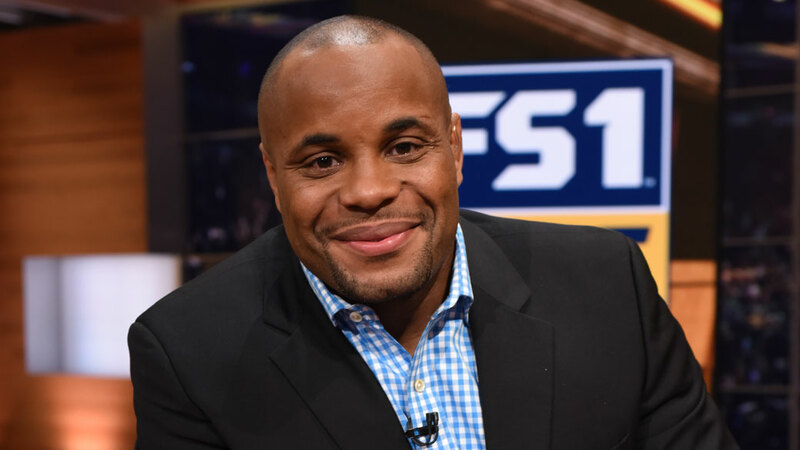 LOS ANGELES, CA – Today, FOX Sports announces Dan Hellie (@DanHellie) makes his FS1 blow-by-blow announcer debut alongside analyst and current light heavyweight champion Daniel Cormier (@dc_mma) for THE ULTIMATE FIGHTER: A NEW WORLD CHAMPION FINALE live in Las Vegas on Friday, Dec. 1. Heidi Androl (@HeidiAndrol) adds reports and interviews fighters onsite. Victor Davila (@mastervic10) and Marlon Vera (@chitoveraUFC) have the call for THE ULTIMATE FIGHTER: A NEW WORLD CHAMPION FINALE in Spanish on FOX Deportes. On Saturday, Dec. 2, analyst Joe Rogan (@JoeRogan) and blow-by-blow announcer Jon Anik (@Jon¬_Anik) call the FS1 UFC 218 PRELIMS live from Detroit. Reporter Megan Olivi (@MeganOlivi) interviews fighters on-site. Davila and Vera are joined by Mario Delgado (@mariodelgadorzm) to call UFC 218 in Spanish on FOX Deportes. For FS1’s weekend coverage of the back-to-back UFC events, former middleweight champion Michael Bisping (@Bisping) and former light heavyweight champ Rashad Evans (@SugaRashadEvans) serve as analysts alongside host Karyn Bryant (@KarynBryant) in FOX Sports’ Los Angeles studio. FS1’s UFC programming starts on Wednesday, Nov. 29 with UFC TONIGHT airing at a special time, 6:00 PM ET with hosts Kenny Florian and Daniel Cormier previewing the exciting doubleheader weekend. The final episode of THE ULTIMATE FIGHTER: A NEW WORLD CHAMPION also airs at a special time Wednesday (11:00 PM ET), with TUF TALK following at midnight. On Thursday, Nov. 30, the FS1 THE ULTIMATE FIGHTER WEIGH-IN SHOW is telecast at 8:30 PM ET with Bryant, Bisping and Evans in studio and Androl reporting onsite. The same crew kicks off Friday, Dec. 1 with the FS1 UFC 218 WEIGH-IN SHOW at 6:00 PM ET, while the FS1 THE ULTIMATE FIGHTER FINALE PREFIGHT SHOW follows at 7:00 PM ET. Continuing on Friday, THE ULTIMATE FIGHTER FINALE PRELIMS begin on FS1 at 8:00 PM ET, with four exciting bouts, while the three-hour main card continues at 10:00 PM ET, with an additional six fights. The final line up and bout order will be announced on Wednesday following the conclusion of THE ULTIMATE FIGHTER. Friday night’s coverage wraps with the FS1 THE ULTIMATE FIGHTER FINALE POSTFIGHT SHOW at 1:00 AM ET. On Saturday, Dec. 2, UFC 218 programming kicks off at 7:00 PM ET with the FS1 UFC 218 PREFIGHT SHOW, previewing the evening’s fights. The two-hour FS1 UFC 218 PRELIMS begin at 8:00 PM ET on FS1 and FOX Deportes with four exciting bouts. Charles Oliveira (22-7, 1NC) and Paul Felder (14-3) collide in a lightweight bout. No. 15-ranked welterweight Alex Oliveira (17-3-1, 2NC) faces Yancy Medeiros (14-4, 1NC). David Teymur (6-1) and Drakkar Klose (8-0-1) square off in a lightweight battle. Plus, No. 9-ranked strawweight Felice Herrig (13-6) and No. 11 Cortney Casey (7-4) open the PRELIMS. The evening’s coverage wraps with the FS1 218 POSTFIGHT SHOW at 1:00 AM ET, with Bryant, Bisping and Evans recapping the fights, while Olivi interviews fighters. Leading up to the fights, UFC fighters offer unique, behind-the-scenes clips on FOX Sports PROcast and on the FOX UFC social pages. Follow @UFConFOX on Twitter, Facebook and Instagram for updates throughout the #UFC218 fights this Saturday. CHARLOTTE, NC – The all-electric FIA Formula E Championship is fully charged for the 2017-18 season, opening with a doubleheader this weekend from Hong Kong’s 1.5-mile, 10-turn Central Harbourfront Circuit live on FS1. This season, the international racing series, betting heavily on a battery-powered future, hosts 14 events across five continents, with the U.S. being the only country to have hosted ePrixs in three separate cities — Miami, Long Beach and New York. The series returns to the Brooklyn Circuit in 2018 on July 14-15, with a doubleheader from the 1.2-mile, 10-turn temporary street circuit along the Red Hook waterfront. 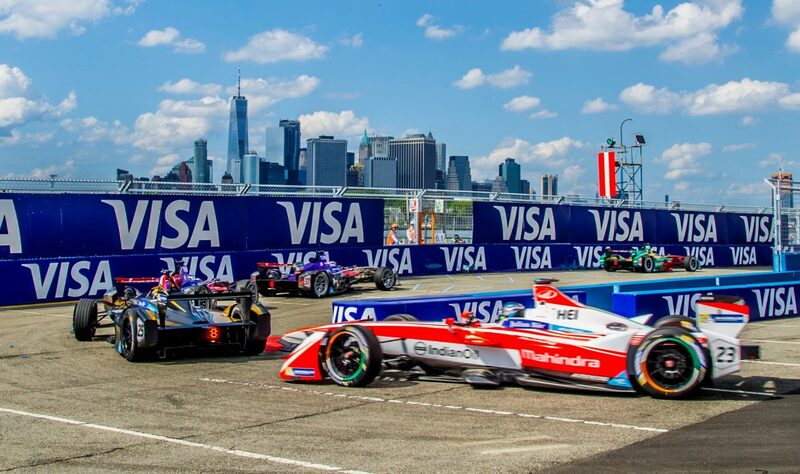 Race 1 of the New York City e-Prix airs live on the FOX broadcast network, with Race 2 live on FS1. Ralph Sheheen returns as the host of FOX Formula E coverage, with the race broadcast team of Bob Varsha, Jack Nicholls, analyst and four-time IndyCar Series champion Dario Franchitti and reporter Nicki Shields. For season four, Formula E is adding to its Host Broadcast camera arsenal for race coverage, continuing the use of virtual reality (VR) as a tool for analysis and committing to the ongoing development of augmented reality (AR) graphics. All 14 events are available streaming on FOX Sports GO. For series developers, along with the growing list of host cities, the move toward emission-free racing is more than just the next big thing in going fast. The series recently added Christiana Figueres, best known for her work in the formation and delivery of the Paris climate agreement, to its newly formed Global Advisory Board. For more information on the FIA Formula E Championship, please visit Formula E. To follow the series on Twitter: @FIAFormulaE and #FEonFOX. The final weekend of college football’s regular season is Rivalry Week, and FOX Sports televises some of the most hotly contested matchups across the country, including No. 9 Ohio State at Michigan in the 114th meeting of The Game. Play-by-play announcer Gus Johnson, analyst Joel Klatt and sideline reporter Jenny Taft are live from Michigan Stadium on Saturday, Nov. 25, to call the greatest rivalry in all of college sports. Coverage of Ohio State at Michigan begins at 10:30 AM ET with a special 90-minute edition of FOX COLLEGE FOOTBALL PREGAME live from The Big House. Rob Stone hosts alongside College Football Hall of Fame Class of 2017 inductee Matt Leinart, former Buckeye running back Robert Smith and former NCAA and NFL head coach Dave Wannstedt. 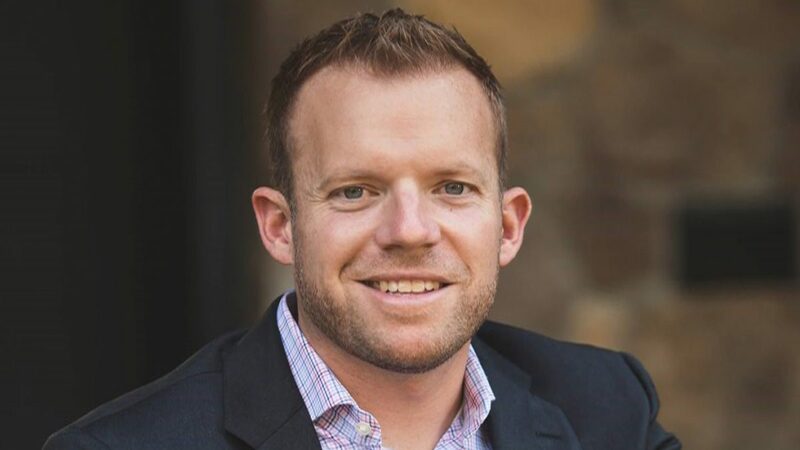 Saturday’s pregame show also includes an appearance by Klatt and features Jon Paul Morosi’s written history of The Game, read by former Buckeyes Cris Carter and Chris Spielman and former Wolverines Braylon Edwards and Steve Hutchinson. Continuing its coverage of Ohio State-Michigan, FOX Sports presents 100,000 CAMERAS, a crowd-sourced original program that compiles fan-gathered video into a half-hour special. 100,000 CAMERAS: OHIO STATE AT MICHIGAN tells the story of how fans around the world experienced The Game, whether in person or on television. The show premieres Saturday, Dec. 2, at 11:30 AM ET on FOX, immediately prior to coverage of the Big 12 Championship Game. An action-packed weekend of FOX College Football begins Friday, Nov. 24, with Baylor at No. 12 TCU. Pregame coverage begins at 11:00 AM ET on FS1 with Stone, Klatt, Leinart, Smith and Wannstedt live from Michigan Stadium. Friday’s FS1 COLLEGE FOOTBALL PREGAME examines how the following two days will shape the College Football Playoff landscape and hears from current Buckeyes and Wolverines on Saturday’s rivalry matchup. FOX Sports’ pregame shows on Friday and Saturday, as well as Ohio State at Michigan and No. 16 Michigan State at Rutgers, are part of Football Week in Michigan, an initiative developed by FOX Sports Detroit which highlights the network’s involvement in the community, high school championship games and college and professional action over an eight-day span. Friday’s lineup also features a cross-border showdown between Iowa and Nebraska at 4:00 PM ET on FS1, followed by Texas Tech at Texas at 8:00 PM ET on FOX. More “Pac-12 After Dark” concludes the evening with Cal at UCLA at 10:30 PM ET on FS1 and FOX Deportes. On Saturday, FOX’s college football tripleheader begins with pregame coverage of No. 9 Ohio State at Michigan at 10:30 AM ET before The Game kicks off at 12:00 PM ET. That afternoon on FOX, Rutgers hosts No. 16 Michigan State at 4:00 PM ET, followed by No. 13 Washington State at No. 17 Washington in the Apple Cup at 8:00 PM ET. FS1’s Saturday lineup begins at 12:00 PM ET with Kansas at No. 19 Oklahoma State, followed by No. 22 Northwestern at Illinois in the battle for the Land of Lincoln Trophy at 4:00 PM ET, and concluding with Colorado at Utah at 10:00 PM ET. This week’s full schedule of games on FOX, FS1 and BTN, including broadcasters, can be found HERE. In 2017, FOX Sports televises top games from the Big 12, Big Ten and Pac-12 conferences. FOX Sports is home to some of the biggest matchups of the season, including Ohio State at Michigan. FOX Sports also presents the Big Ten and Big 12 championship games and the Foster Farms Bowl and San Diego County Credit Union Holiday Bowl. Rounding out the network’s weekend of holiday programming, FOX Sports premieres “89 Blocks,” airing Sunday November 26, adjacent to regional NFL broadcasts. This is the first film in the new FOX Sports Films feature-length documentary series, “Magnify”. Tuesday, November 21, ahead of the broadcast premiere, FOX Sports Films, SPORTS ILLUSTRATED and UNINTERRUPTED presented an exclusive screening to the students of East St. Louis High School, where the film is set. An additional screening took place last week in New York City. 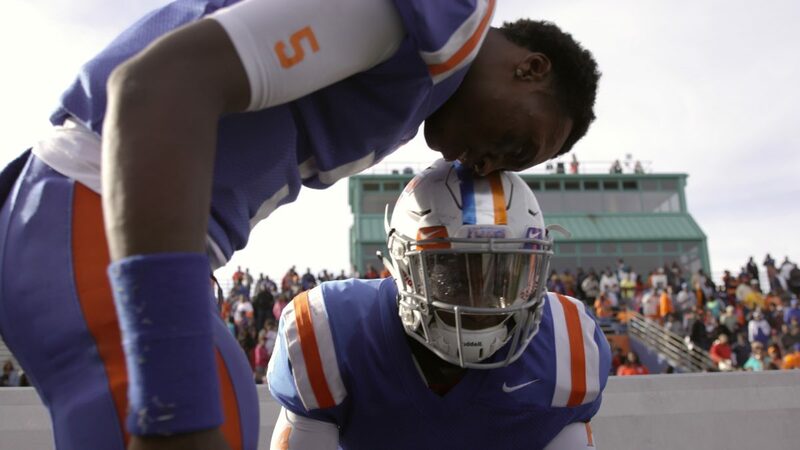 “89 Blocks,” executive produced by Time Inc.’s SPORTS ILLUSTRATED with LeBron James and Maverick Carter’s UNINTERRUPTED, brings an authentic perspective to the story of the East St. Louis High School Flyers football team — the pride and joy of a complex, at-risk Illinois community. This look at their exceptional challenges and heartwarming triumph during the 2016 season is directed by Emmy winner Josh Oshinsky. 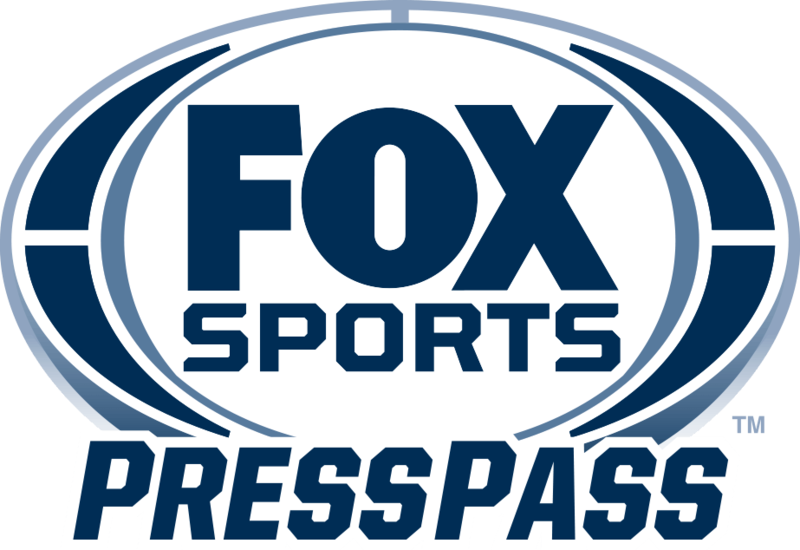 FOX Sports features live regionalized NFL coverage this Sunday at 1:00 PM ET and 4:05 PM ET with NFL broadcasts available in both competing teams’ home markets, as well as select additional cities around the country. Viewers with an NFL matchup airing at 1:00 PM ET can watch the documentary at 4:30 PM ET; viewers with an NFL matchup airing at 4:05 PM ET can see the documentary at 2:30 PM ET. For additional information about “89 Blocks” and FOX Sports Films’ series “Magnify”, click here. LOS ANGELES, CA – FOX Sports presents an action-packed soccer lineup this week featuring UEFA Champions League and Audi 2017 MLS Cup Playoffs beginning Tuesday, Nov. 21 on FS1. Led by FIFA Player of the Year Cristiano Ronaldo, Real Madrid kick off Tuesday’s lineup against APOEL at 2:30 PM ET on FS1, while Christian Pulisic’s Borussia Dortmund host Tottenham on FS2. On Wednesday, Nov. 22 Gianluigi Buffon’s Juventus headlines FS1’s UEFA Champions League coverage as they face Lionel Messi’s Barcelona at 2:30 PM ET. Kate Abdo hosts UEFA Champions League studio coverage both days alongside Warren Barton, Brad Friedel and Jovan Kirovski, beginning at 2:00 PM ET. This week’s full match schedule can be found here. FOX Sports concludes its 2017 MLS coverage with Audi 2017 MLS Cup Playoffs’ Western and Eastern Conference Championships action Tuesday, Nov. 21 and Wednesday, Nov. 29 respectively. Defending MLS Cup champion Seattle Sounders FC square off against the Houston Dynamo in the first leg of the Western Conference Championship series at 9:30 PM ET on FS1, while Michael Bradley and Toronto FC host Federico Higuain and the Columbus Crew FC in the second leg of the Eastern Conference Championship series beginning at 7:00 PM ET on FS1. John Strong calls the Dynamo-Sounders first leg of the Western Conference Championship series live from BBVA Compass stadium alongside former Houston Dynamo star Stu Holden and MLS legend Landon Donovan, with Katie Witham reporting from the sideline. Strong, Holden and Witham reunite a week later at BMO field in Toronto to call Leg 2 the Toronto-Columbus matchup (7:25 PM ET). Rob Stone hosts MLS studio coverage for both matches alongside U.S. Soccer Hall of Famer Alexi Lalas. NEW YORK, NY – Following a competitive and engaging inaugural season of the BIG3, FOX Sports today announces fundamental changes to its presentation of the professional 3-on-3 basketball league. In 2018, the BIG3’s ten-week season will be broadcast live on Friday nights, with six windows on FS1 and four windows on the FOX broadcast network. Each week, the BIG3 will play four games back-to-back on Friday evenings, three of which will be broadcast live by FOX Sports and streamed concurrently on FOX Sports GO. The league tips off on Friday, June 22 on FS1 from 7:30 to 10:30 PM ET. The BIG3 will then travel to nine additional cities throughout the summer, concluding with playoff rounds and the championship matchup airing in the season’s final two weeks on FOX. Co-founded by Ice Cube and Jeff Kwatinetz, the BIG3 had an incredibly successful inaugural season, attracting attention from media, fans and celebrities thanks to an impressive roster of basketball superstars and a highly competitive level of 3-on-3 basketball. The league recently announced the return of nearly all first season talent – including 2017 BIG3 Champions Trilogy’s Kenyon Martin, Al Harrington, Rashad McCants, Dion Glover, James White and coach Rick Mahorn, and 2017 BIG3 MVP Rashard Lewis and his 3 Headed Monsters teammates Kwame Brown and Mahmoud Abdul-Rauf. Also returning are captains, co-captains and coaches Corey Maggette, Chauncey Billups, Clyde Drexler, Gary Payton, Brian Scalabrine, Stephen Jackson, DerMarr Johnson, Jermaine O’Neal, Mike Bibby, Ricky Davis, Josh Childress, Cuttino Mobley, Jerome Williams, Bonzi Wells, George Gervin, Charles Oakley, Allen Iverson and Rick Barry. Twenty-five players from the inaugural season have signed up for the draft pool including DeShawn Steven, Xavier Silas, Derrick Byars and Andre Owens among others. For the 2018 season, BIG3 has announced expanded rosters and that each team would add an additional co-captain. Killer 3s made the first move of the off season, adding Metta World Peace who will play under his former name, Ron Artest. Additional co-captain signings are expected to follow.